Prior to the Prussian Homage. The Sejm in Piotrków. 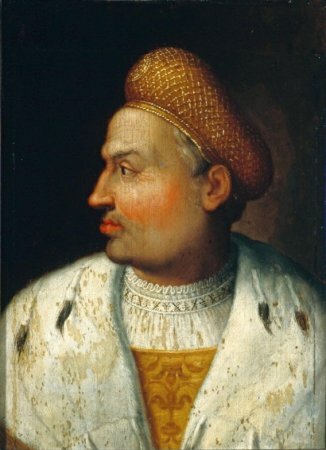 1524-1525. In all probability, the Sejm was convoked in November, Sejmiks held in December 1524. Sejm sessions commenced on December 26th 1524. The assembly was convened in view of the Turkish and Tatar threat, duly proven by a perilous foray into Red Ruthenia that the limited mobile royal troops could not withstand in the summer of 1524. Debates also focused on Prussian affairs in view of the shortly-to-expire armistice with the Teutonic Order entered into during the war waged in 1519. The vast majority of assembly attendants proposed that Prussia be incorporated into the Crown. Treasury and military reform issues were tabled as well. Furthermore, an increased tax resolution was passed with intent to apply to all social strata, in view of concerns regarding Turkish and Tatar forays, and Prussian war perspectives. The Sejm concluded on February 23rd 1525. 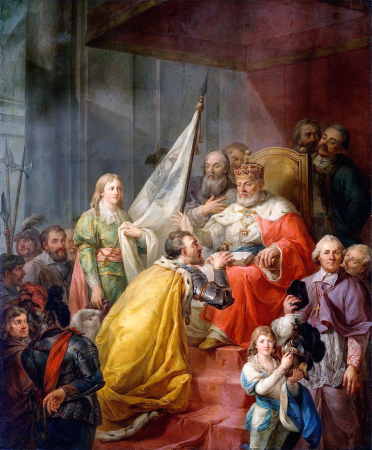 See: Z. Wojciechowski, Zygmunt Stary, Warsaw 1946; W. Uruszczak, Sejm walny koronny w latach 1506-1540, Warsaw 1980. For legislation, see Volumina Constitutionum, vol. 1, part 1, prepared for print by S. Grodziski, I. Dwornicka, W. Uruszczak, Warsaw 1996, pp. 434-435.